Over 100 forms and documents available to streamline your business. Instantly sign contracts from any device using YachtCloser's electronic signatures. Enjoy a convenient and secure way to do business! Providing specialized closing services to simplify boat and yacht transactions. Registration, Documentation, Lien Searches, Escrow, and much more! Specialized loan programs and concierge level service for yacht brokers and their clients. Custom websites catered specifically to the yacht brokerage industry. YachtCloser is the yacht brokerage industry’s leading web-based contract management solution. YachtCloser provides a simple, seamless connection between buyers, sellers, brokers and yacht services through a sophisticated, yet easy-to-use application engine. YachtCloser provides the most accessible and robust transaction and administrative tools available – managing more than $10 Billion in active boat and yacht contracts nationwide. I have been using YachtCloser for several years and it really streamlines the sales process with contracts, commission agreements and closing paperwork. I recently had a custom site built with excellent integrations for my CRM and Boathistoryreport.com. I also switched to YC Closing Services & Documentation with great success. I have also utilized the Finance department with great success. The team at YachtCloser is customer centric and forward thinking. I look forward to the future growth of YachtCloser offerings and how it can benefit my client and Tampa Yacht Sales. The team at YachtCloser has always provided top notch service at affordable rates. So when they began offering web design services, I jumped! The end result was a new website that is leagues ahead of my previous one - at a fraction of the price. If you're thinking of redesigning your current site, or building a new one, I highly recommend the YachtCloser team! I couldn't be HAPPIER with you and your support people. This is just the coolest thing to hit the marine industry since the fax machine! (And I was there when Bertram Ft. Lauderdale got their first fax machine!) I am just such a huge fan of YachtCloser and I am just constantly amazed at the ease and range of documents that are at my fingertips. Kudos to Brad and the entire group! Having worked with YachtCloser in the past at other brokerages made it a “No-Brainer” to use when Aqua Sol Yacht Sales launched. The ease and simplicity of creating the agreements and forms for both the buyer and seller and the ability to sign from a mobile device makes your software indispensable. I am still amazed that every yacht brokerage does not use this software. Keep up the good work and we look forward to integrating the listing information automatically from the website in the future. Thank you to Brad Parker and the whole staff at YachtCloser. We have been utilizing YachtCloser for six months now at Stotler Yachts and the administrative side of our business has become much easier and efficient. Last month we used YachtCloser for documentation for the first time and it was a perfectly seamless operation. I recommend YachtCloser to everyone and look forward to what is next from this dynamic company. Yacht Closer is everything that was promised. Excellent orientation and after sale service by Brad and his team. I'm sorry I didn't sign up earlier as it has been an incredible deal facilitator as well as a valuable management tool. Our brokers love it and our clients are very comfortable with it. My experience with YachtCloser has been financially rewarding. Speed to close along with the security of backup, ease of use and the professional support makes this the best investment I have made for my company. Thanks! 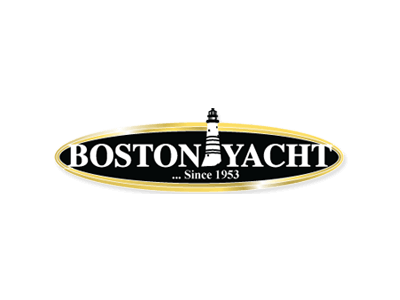 Brewer Yacht Sales has incorporated the YachtCloser system into our SOP. It has not only provided easy access to all our clients and contracts from anywhere in the world it has also speedup the entire process of a yacht transaction. Our brokers like it because it saves them time and helps organize things while on the go. What really stands out with YachtCloser is their customer service; I would have to say that it is the best I have ever encountered in any industry! That matters.